Hello! I have some quick nail art from this past weekend to show you. The Zoya Entice Collection includes six beautiful Fall cremes. 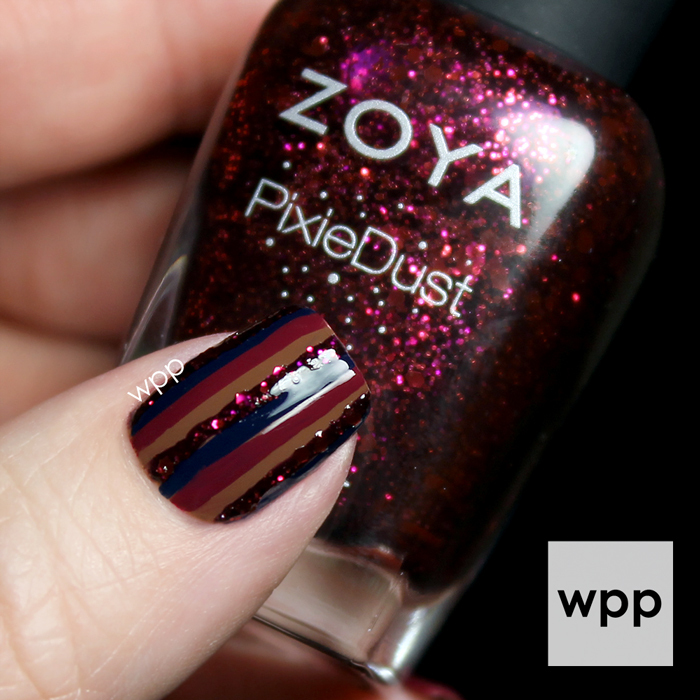 And the new Zoya Ultra PixieDusts offer some unprecedented bling. I decided to combine the two into a single, easy look. Watch for swatches of the Ignite Collection soon, which includes the six shimmery sisters to the Entice polishes. 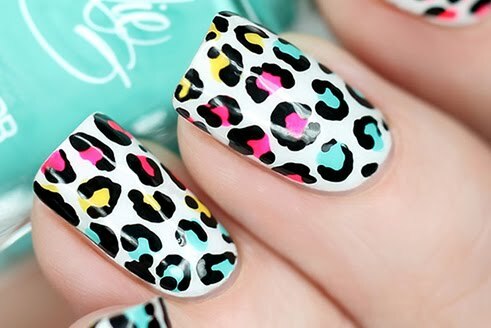 How amazing do these polishes look together?! The base of my nail art from pinky to thumb is Zoya Veronica, Nyssa, Noir, Ryan, and Nyssa (thumb...not shown in pic below). 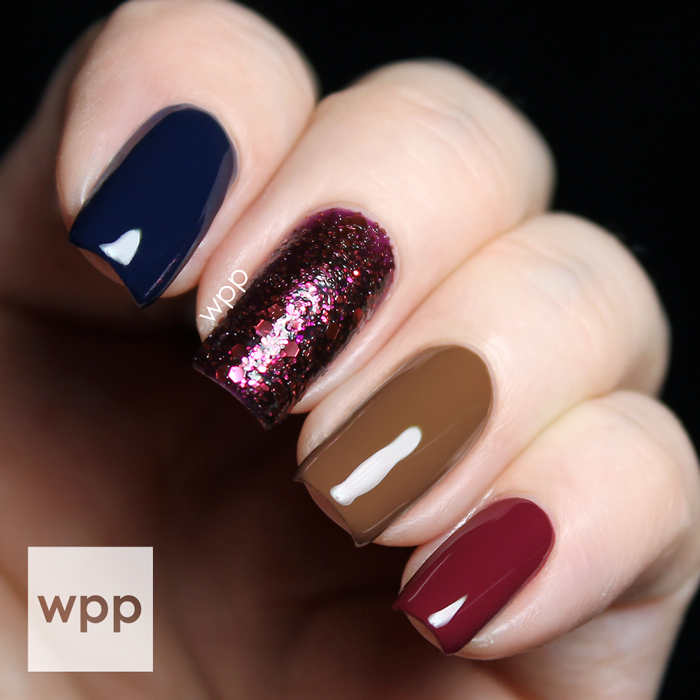 See the video here for tips on applying Noir, an Ultra PixieDust. I used a dotting tool to create the ring finer accent. 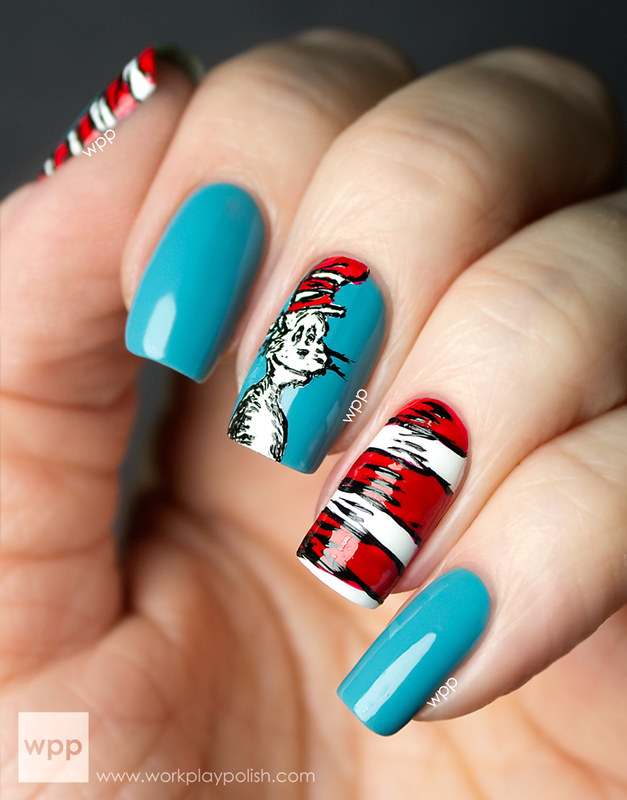 And I used a long striping brush to place the stripes on the thumb. I love how Zoya collections sort of do the hard part for you and gather together complementary colors and finishes for nail art. If you're ever stuck, just pick a collection and alternate solid nails with patterns using dotting tools and you're good to go! 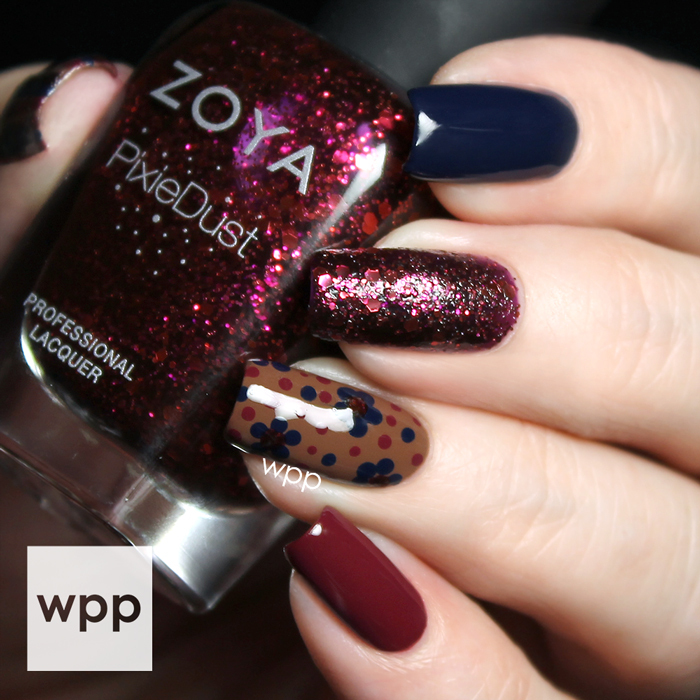 The Zoya Entice and Ultra PixieDust Collections are available now at Zoya.com. Entirce polishes retail for $9.00 each (US) and Ultra Pixes are $10.00. They can be purchased at Zoya.com, select stores and spas and in ULTA beauty stores (not online). Zoya offers frequent promotions, so be sure to follow their Facebook and Instagram to get the scoop!